Scientists are perfecting technology to create rice that has taste of white rice, but many useful health such as brown rice. 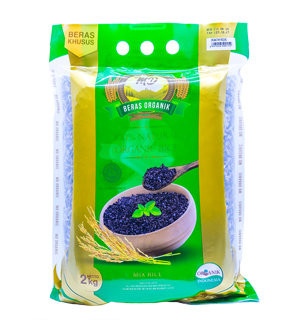 Of Tests showed that the new rice is good for the heart and helps maintain pressure Blood and protect arteries from constriction. Red and white rice are derived from plants the same. It is processed white rice longer, so that the skin layer stripped. Though thin skin This layer is known as subaleurone bring benefits to the heart. In Japan, rice is a good one for health is Kinme Mai. Expert heart, Dr Satoru Eguchi, test coating rice skin in the laboratory. It turns out rice is good for heart health. The experiment was focused on hormone called angiotensin II, which serves increase blood pressure contracting the arteries. In addition, the role the hardening of blood vessels make the cells that line the inside blood vessels grow. Dr Eguchi, of Temple University School of Medicine in Philadelphia, shows that the blocking effect subaleurone layer dangerous angiotensin II in vascular cells Blood. American Journal of Hypertension in the report mentioned, layers subaleurone a new drug to combat high blood pressure and heart disease. "Our research shows that there potential in rice that is the good start for preventive medicine heart disease, "he said Sunday. He plans to conduct tests on animals followed in humans for check if rice can be improve heart health. According to him, the same Mai sense Kinme white rice. Manufacturers say aroma and it feels better. "But, for I, no difference in rice white. Although more expensive, it seems better than brown rice. Rice Kinme Mai, the golden, only available in Japan. Similar products, Haiga Mai Rice ie, can be purchased through Internet. Brown rice, in which the hard outer skin, traditionally been the choice for vitamins and minerals.